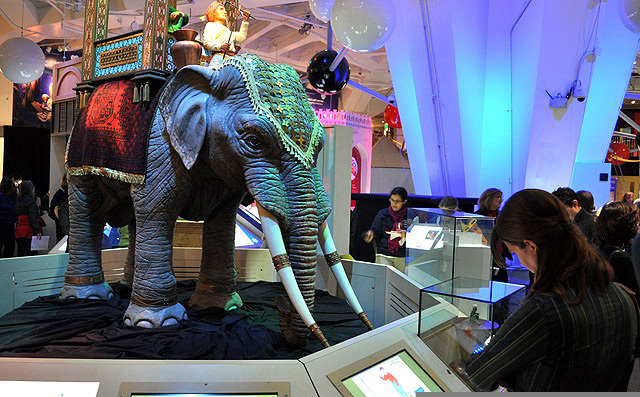 The 1001 Inventions exhibition enjoyed its US premiere at the prestigious New York Hall of Science in Queens. Following its launch in December 2010, the exhibition welcomed over 250,000 visitors from all over the tri-state area and the American East Coast during its five month residency at New York’s leading interactive science museum. Hot on the heels of record-breaking runs at the London Science Museum and Istanbul’s Sultanahmet Square, New York was the first American city on the 1001 Inventions international tour, which will go on to visit many prestigious venues across the continent. 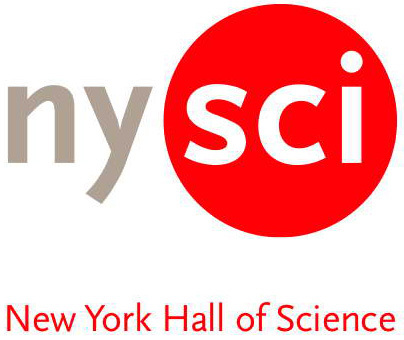 The New York Hall of Science was the ideal inaugural US venue to host the 1001 Inventions exhibition and was chosen due to its status as New York City's only hands-on science and technology centre. Since 1986, NYSCI has served more than five million children, parents and teachers. NYSCI's mission is to convey the excitement and understanding of science and technology to children, families, teachers and others by galvanizing their curiosity and offering them creative, participatory ways to learn. 17th March 2011, New York. Hundreds of VIP guests attended an exclusive event to celebrate the forthcoming transfer of the 1001 Inventions exhibition, from New York city to its new home in Los Angeles, opening 25th May 2011. The acclaimed international touring exhibition will travel from the East coast to the West after the Easter break to take up residence at the California Science Center (CSC) in Los Angeles in May. 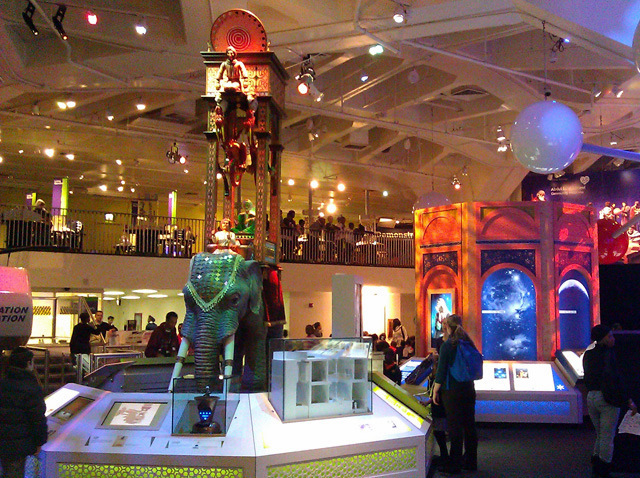 The 1001 Inventions exhibition, which highlights the underappreciated scientific and technological achievements of the “Golden Age” of Muslim civilization, has received tens of thousands of visitors since it arrived at the New York Hall of Science (NYSCI) in December 2010 and is globally sponsored by the Abdul Latif Jameel Community Initiatives (ALJCI). As part of the ceremony, the CEO and President of NYSCI, Dr. Margaret Honey, carried out a symbolic transfer of the exhibition to her CSC counterpart, Jeffrey Rudolph, by handing over a reproduction of the Scribe Clock – a 13th century invention by master engineer Al-Jazari, who is one of the central characters within the exhibition. 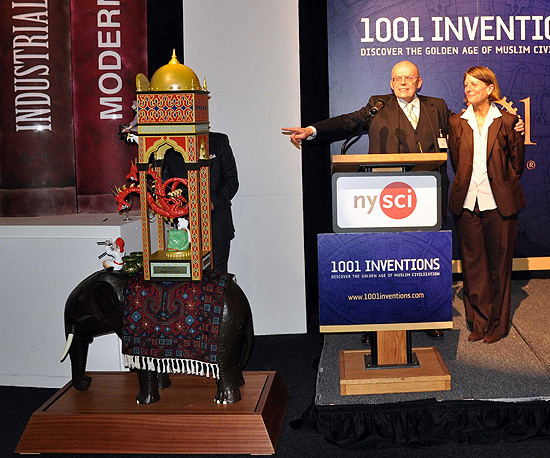 As part of the celebration, and to thank NYSCI for pr emiering the exhibition in the US, 1001 Inventions gifted a model of the Elephant Clock – another Al-Jazari invention – to Dr. Honey and her team as a permanent addition to the NYSCI collection. The event was attended by representatives from the UN’s diplomatic community, as well as academics and Museum representatives from around the world. The 1001 Inventions exhibition at New York Hall of Science (NYSCI) runs until the 24th of April 2011. The West coast premiere of the exhibition will take place on the 27th May 2011, at the California Science Center in Los Angeles, before closing on the 11th of March 2012. 3rd February 2011 - More than 400 teachers from the New York tri-state area attended a special “Open House” at New York Hall of Science (NYSCI) today, to enjoy a private viewing of the 1001 Inventions exhibition, which invited them to “Discover The Golden Age of Muslim Civilization”. 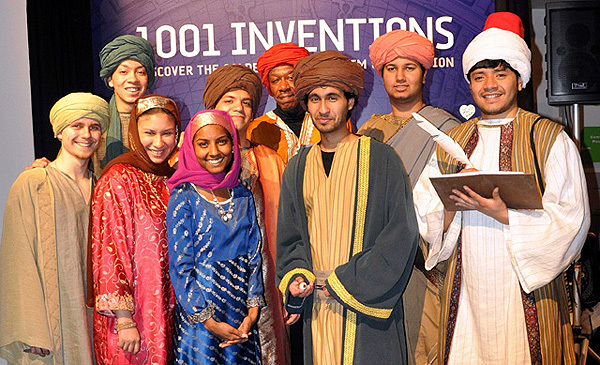 17 December 2010, New York — The 1001 Inventions exhibition, which highlights the scientific legacy of Muslim civilization in our modern age, made its United States debut at the New York Hall of Science (NYSCI) on December 4th 2010. 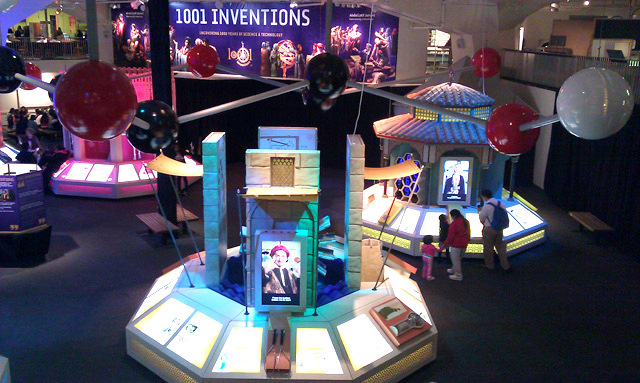 7 December 2010, New York — The record-breaking 1001 Inventions exhibition has landed in North America at the world renowned New York Hall of Science (NYSCI) and has already attracted several thousand visitors on its US debut. The exhibition’s US premiere was highly anticipated after it enjoyed blockbuster runs in both London and Istanbul, attracting 400,000 people in each city and thousands have already visited the attraction. 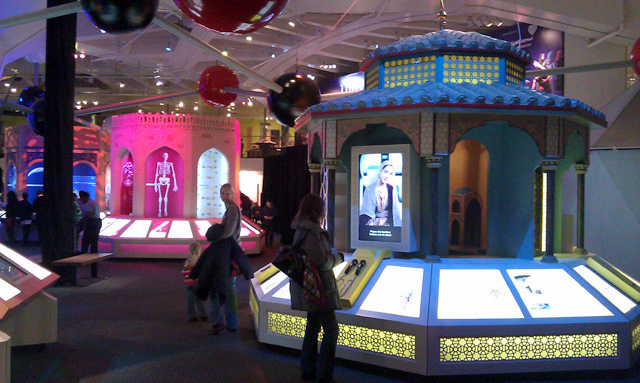 The 1001 Inventions exhibition, which highlights the scientific legacy of Muslim civilization in our modern age, made its United States debut at the New York Hall of Science (NYSCI) on the 4th of December 2010 at a special event attended by local media, academics and philanthropists, including Mohammed Jameel, patron of Abdul Latif Jameel Community Initiatives (ALJCI). At the launch event, Dr. Margaret Honey, President and CEO of NYSCI, said: “Science is a universal language that has a unique power to pull people together. This exhibition reveals fascinating bits of history and a shared scientific inheritance. 1001 Inventions is about scholarship, inspiration and discovery among men and women from many cultures, making NYSCI an ideal venue for the U.S. debut — a hands-on science and technology centre in the most diverse city in the country.” Dr. Honey also thanked the 1001 Inventions project and its sponsor ALJCI for opening the exhibition’s US tour at NYSCI. NYSCI is New York’s center for hands-on fun and learning with more than 450 exhibits, science demonstrations, and programs for families, students and teachers. NYSCI conveys the excitement and understanding of science and technology by galvanizing curiosity and offering creative, participatory ways to learn. Founded at the 1964-65 World’s Fair, NYSCI has developed into a leading content provider and presenter of exhibitions and programs that demystify our world and encourage curiosity, creativity, critical thinking and discovery.